Inflation in simple terms can be explained as a general increase in the price of commodities like grains, fuels, consumables etc. It also signifies erosion in the purchasing power of money. For example, one year back the cost of diesel was Rs. 50 per litre and so Rs.100 could buy you two litres, however, in the current year the diesel price has gone up to Rs. 60 which means that Rs. 100 can now buy only 1.67 litres of diesel. This example shows how the value of Rs. 100 has gone down in terms of its purchasing power, in this case, diesel. Now every economy experiences inflation. Though controlled inflation is a healthy sign of a robust economy, a sudden increase can lead to major losses in terms of the value of assets and savings. Supply is goods and services are lower than demand, so the prices rise. Increase in spending by the public when they believe that prices are going to rise. Fiscal policies of the government which controls the money supply in the economy, thus affecting currency value. Black marketing and hoarding of essential commodities. Shortage of raw materials for industrial output. The inflation and rise in interest rates on loans correspond each other. As the inflation rises, the regulator increases the rate of interest to arrest inflation to discourage borrowings. Inflationary conditions lead to an increase in the prices of raw materials and day to day operational costs of a business unit. Similarly, even equipment and machinery required for the business would register a hike. All in all, this situation is bound to increase the fund requirements of an enterprise. High inflationary pressures lead to higher cash requirement because most of the operations of SMEs tend to be cash based. Since the production takes a hit due to low finances, SMEs are not able to fulfil demand, which eventually results in low income. Hence, this vicious cycle creates a severe cash crunch. How can SMEs deal with inflation? As trivial it may sound, being financially literate is the first step that SMEs can take against inflation. Remember, that making more money and doing more sales isn’t only the part of the whole business game. You need to understand how to do business budgeting, be aware of various business taxes and laws, keep a close tab on market economics, and even develop a foresight to predict business trends. This will help you to make your money work effectively and take better business decisions in the times of inflation. 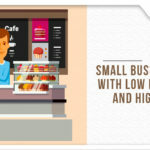 You can borrow small business loans to keep the cash flowing in during inflation. However, instead of exploring traditional sources such as banks and financial institutions where the interest rate is higher and the process is cumbersome, you can avail small business loans from online financing platforms such as FlexiLoans. They provide cheaper, quicker and collateral free business loans on better terms and conditions and with minimum documentation. They provide various types of collateral free business loans such as working capital loan for business expansion and seasonal inventory management, PO discounting and invoice financing loans, as well as equipment loans. Even world’s developed economies have moderate inflation rate and therefore, it is almost entirely impossible to escape inflation. But with right financial knowledge and a loan partner, SMEs can easily dodge inflationary pressures. Thank you for connecting with FlexiLoans. The interest rates start from 1% per month and vary on the applicant’s financial history and information. Please share your requirement at http://bit.ly/2jKRJDo, our representative will get in touch with you. You can also share your requirements at Connect@flexiloans.in.